Its title is simple enough: "The Roosevelts." There's nothing simple -- let alone simplistic -- about the story a 14-hour documentary series is going to tell about a powerhouse trio of individuals who helped shape U.S. history in the 20th century. 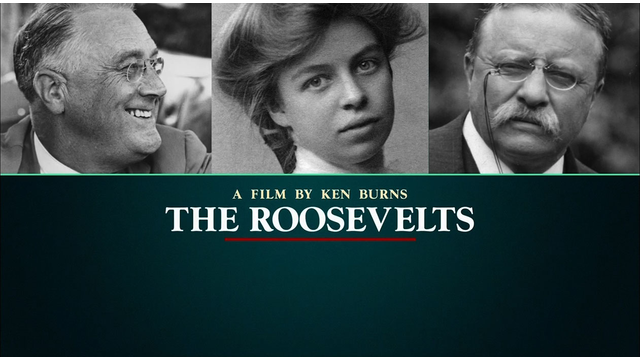 "The Roosevelts" premiers Sunday at 7 p.m. on Panhandle PBS and it tells the early lives of Theodore Roosevelt and Franklin Delano Roosevelt, two men who were distant cousins and who both would ascend to the presidency amid extreme hardship and grief. Teddy Roosevelt became president upon the assassination of William McKinley in 1901. FDR inherited the Great Depression when he was elected president in 1932. But before all of that, before they became household names, these men made names for themselves. One was an avid outdoorsman, hunter and conservationist who later became a war hero. The other became governor of New York and would overcome crippling disease. FDR would marry yet another relative, Eleanor, who became a powerhouse in her own right as first lady and confidante to her husband, and later as envoy to the United Nations. Those early years of TR and FDR will be chronicled by the famed documentary historian Ken Burns, whose credentials are unsurpassed. He's told many stories on PBS, perhaps the most fascinating -- for Panhandle residents -- was his 2013 documentary on the Dust Bowl. Burns is at it again. He's telling us the story of "The Roosevelts" as only he can.